3D Hall click carries the MLX90333 Triaxis Hall sensor, capable of detecting the position of any magnet in nearby space. It does so by being sensitive to three components of flux density (BX, BY, BZ). 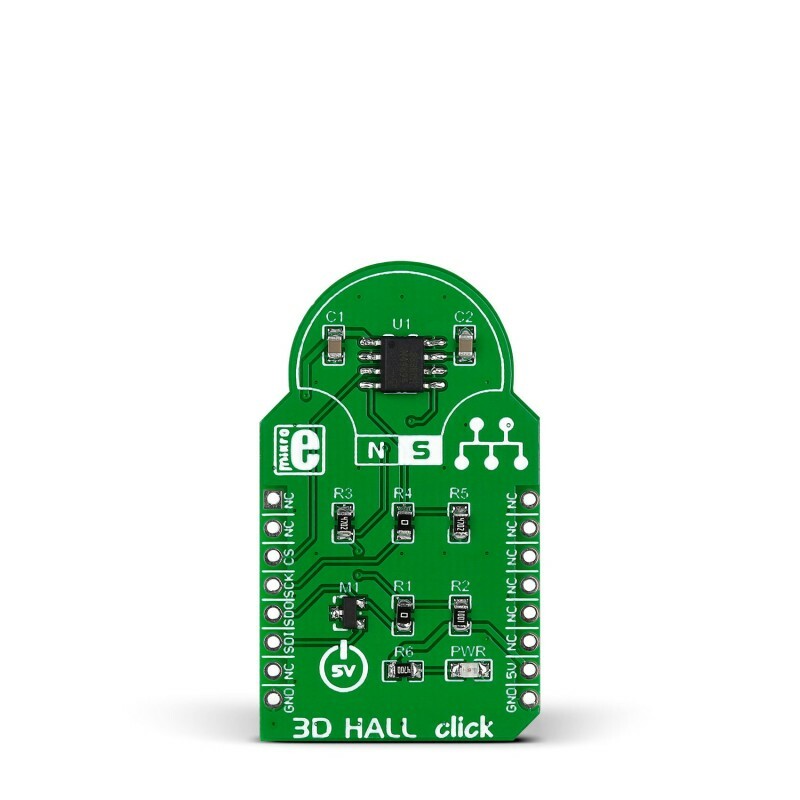 3D Hall click carries the MLX90333 Triaxis Hall sensor, capable of detecting the position of any magnet in nearby space. It does so by being sensitive to three components of flux density (BX, BY, BZ). The chip functions as a contactless position sensor for any type of magnet, capable of measuring its rotational, linear and 3D displacement with a high degree of precision. Contactless coupling ensures resistance against wear and environmental contaminants such as dirt and dust. 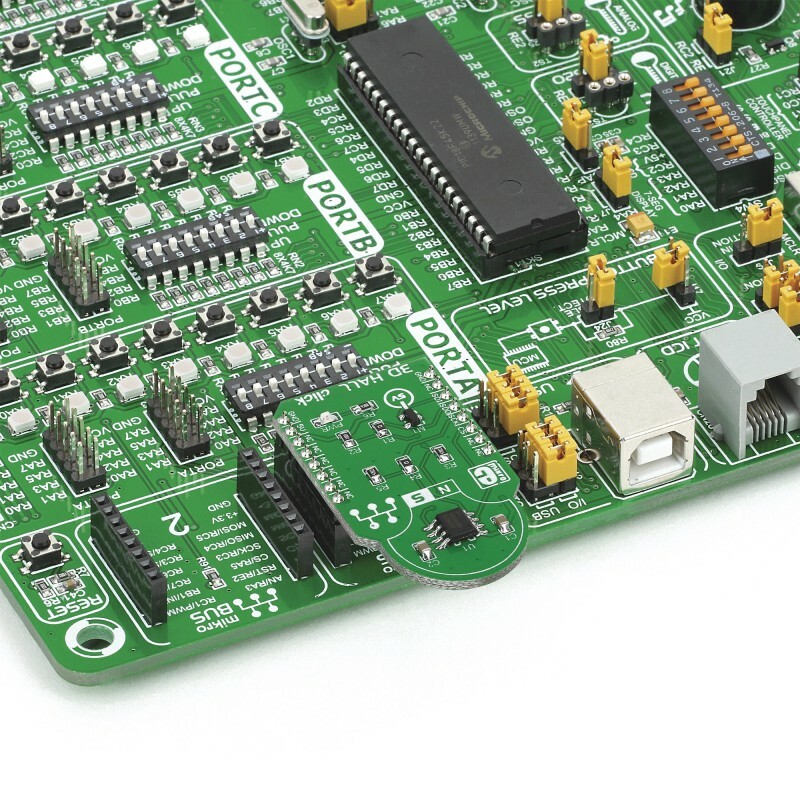 The on-chip signal processing circuitry simplifies integration. 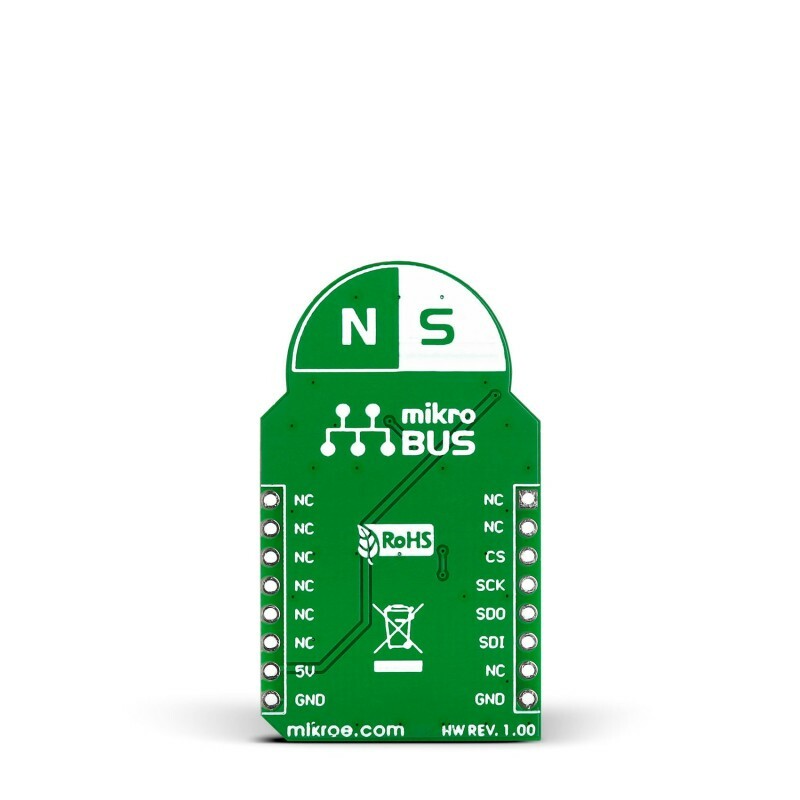 The board communicates with the target MCU through the mikroBUS SPI interface (CS, SCK, MISO, MOSI). 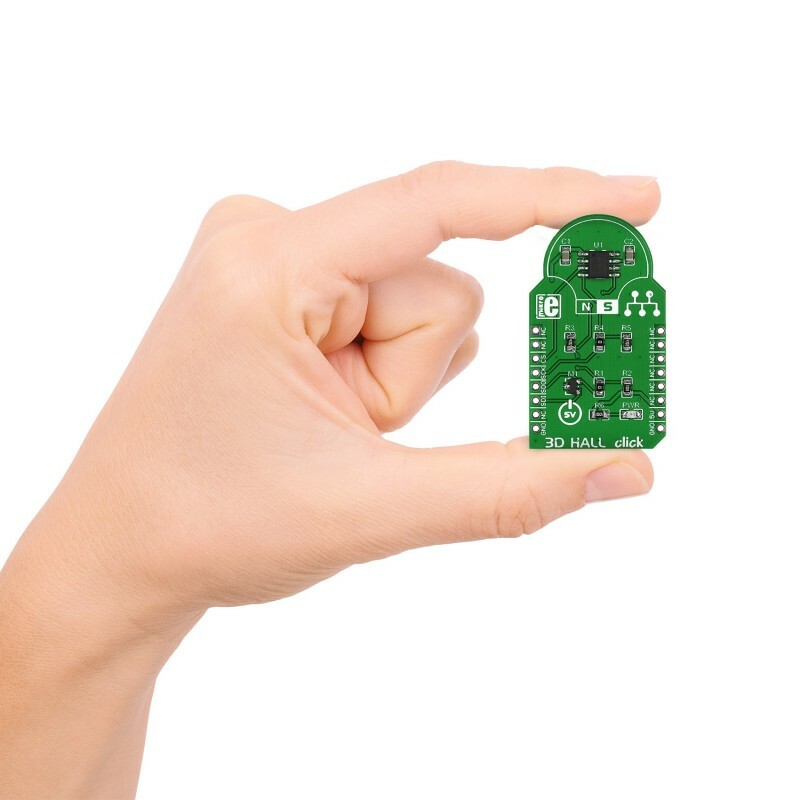 The board is designed to use a 5V power supply only.